Developer IronOak Games’ delightful tabletop-RPG-meets-digital-board-game For The King is coming to Xbox One, PlayStation 4, and Switch this May. For the King initially launched on PC last April, following an extended early access development period, and has been expanded with numerous free DLC updates since then. It’s received new nautical-themed escapades, adventures in icebound regions, a special “uncooperative mode”, and more – all of which will be included in the console versions of For the King, alongside the very enjoyable base game. If it’s specific diary dates you’re after, For the King comes to PS4 on May 7th, Switch on May 9th, and Xbox One on May 10th. Publisher Curve Digital hasn’t revealed a price for the console versions just yet, but it promises a 20% discount at launch. For the King, if you’re unfamiliar, is an absolute bag of fun, combining familiar RPG stables – think dungeon crawling, questing, turn-based exploration and combat, loot acquisition, and so on – with the the RNG-heavy, luck-mitigation designs of board games like Arkham Horror. And then it streamlines it all into light-hearted, optionally co-operative rogue-like adventuring. There are procedural elements, a day-and-night cycle that affects encounters as your party roams the map, a Chaos system that threatens to engulf the world in antediluvian evil, and loads of fun little lore vignettes as you uncover the likes of mysterious ruins, haunted carnivals, kraken-infested waters, and more. The result is a wonderful (and wonderfully attractive) little story-generator, which manages to feel sufficiently surprising with each run. 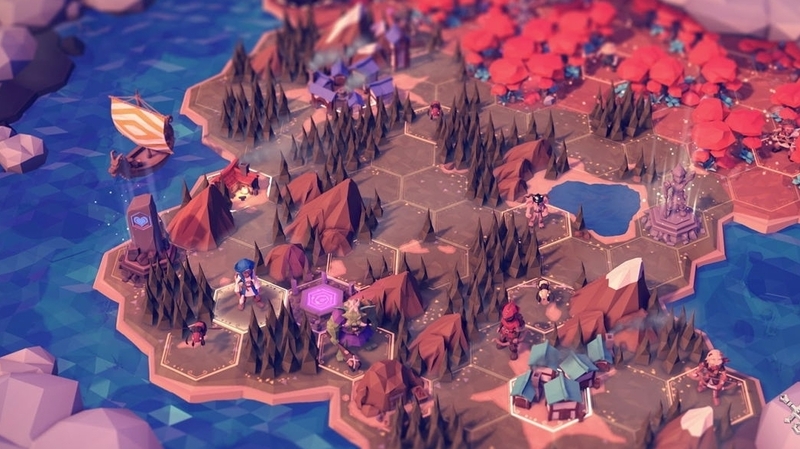 For the King is undoubtedly tough (which was a cause of concern in Eurogamer’s review), but if you’ve some like-minded pals up for larking about on a sprawlingly silly adventure, I’d say it’s well worth checking out when it comes to consoles this May.